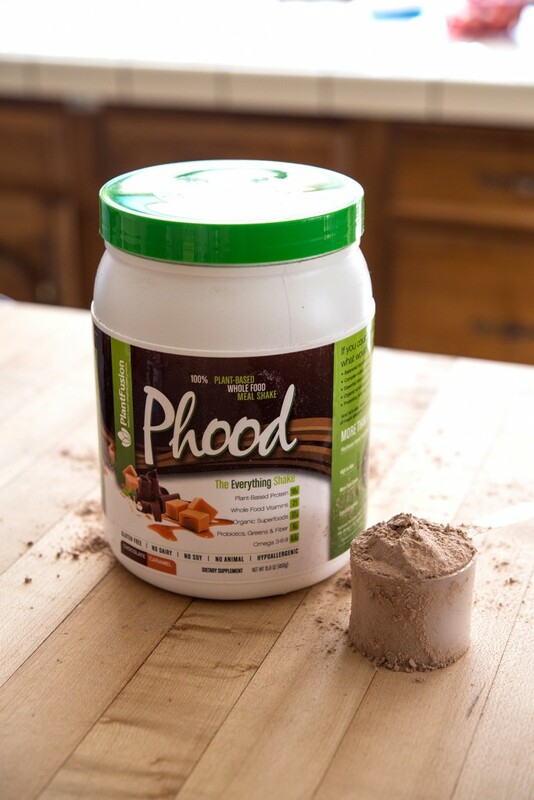 While this meal replacement is an extremely well-rounded and convenient way to get nutrients into your diet when your short on time, it’s hard not to experiment with flavors like Vanilla, and Chocolate Caramel. Because it’s been super hot in Southern California the last few weeks, ice cream seemed like the obvious recipe to make and boy did it satisfy! 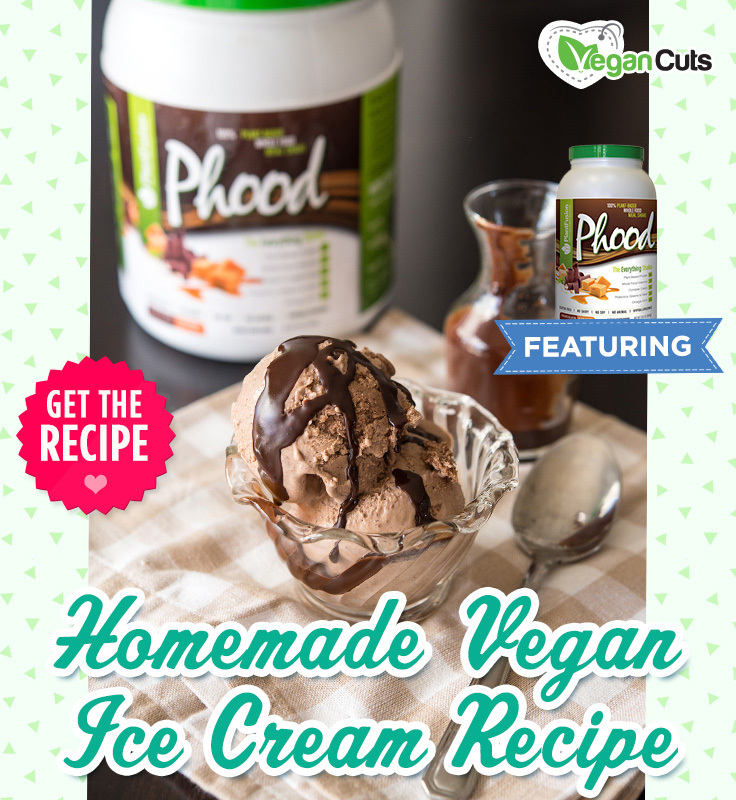 Dates reinforce the caramel notes in the powder while cacao nibs add even more chocolate flavor, and the chocolate shell makes the ice cream fun! Well, more fun than ice cream already is. This recipe is super easy, soy-free, and will keep you cool while making your dessert a nutrient-dense treat. This recipe is super easy, soy-free, and will keep you cool while making your dessert a nutrient-dense treat. 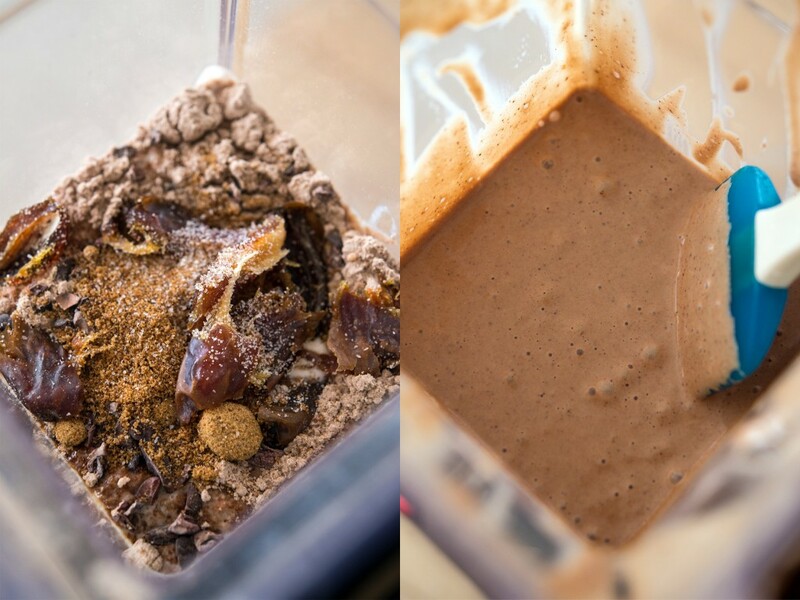 Place all ingredients in the blender and puree until very smooth. This may take a couple of tries because of the unavoidable date chunks. Once blended, set the mixture in the refrigerator for 30 minutes. When the mixture is cool, pour it into an ice cream maker and chill for 15 minutes, then place in the freezer for an hour before scooping. 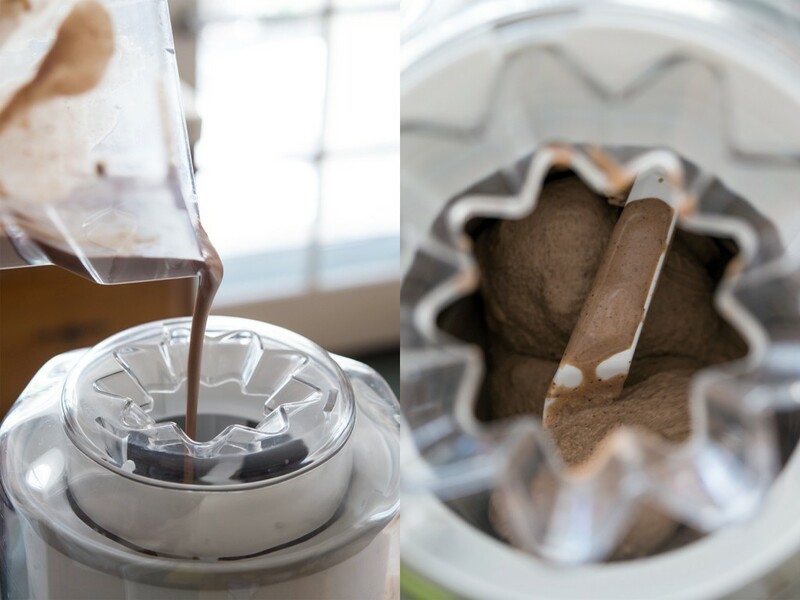 Once you are ready to serve the ice cream, whisk all of the chocolate shell ingredients together into smooth. 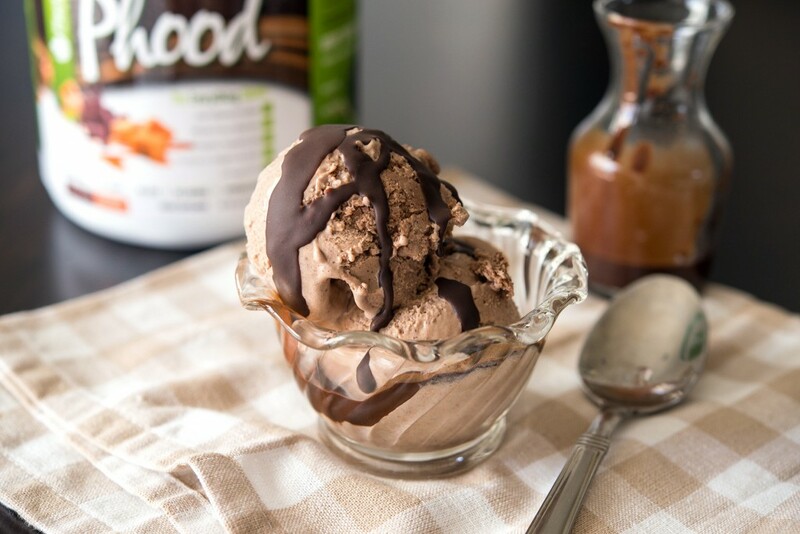 Scoop the ice cream into a bowl and drizzle the chocolate sauce over the top, waiting 30 seconds for it to harden fully.